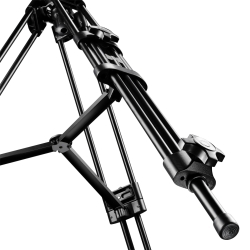 The video tripod Dolomit 1200 with its height of approx. 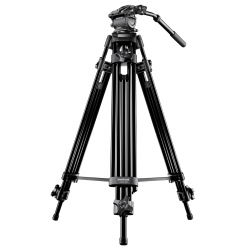 158cm is one of the smallest of the series and therefore perfectly suitable for use with small and lightweight video cameras and DSLRs up to maximum 2 kg. 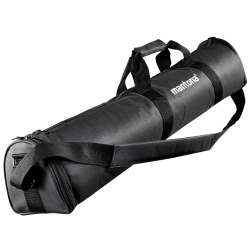 The fluid damped panhead ensures soft and precise panning and tilting movements. The long pan bar supports flexibility in use. 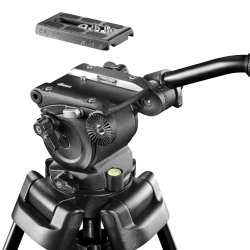 The possibility of mounting the pan bar on the left or right side of the panhead is a particularly convenient, depending on whether you are right or left handed. 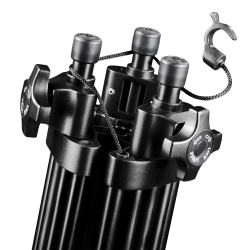 With the integrated bubble level exact levelling is no problem.